Polymer optics are taking everyday applications by storm, thanks to advances that make plastic more and more competitive with glass. Figure 1. Thermoplastic molding pellets, the source material for injection molding, are melted to form finished molded lenses for numerous everyday applications, from cellphone cameras to LED lens assemblies. When it comes to thermoplastics, the specifications are the same as for glass. Designers must call out the dimensions, surface accuracy, index of refraction, Abbe number and transmission characteristics. They also must consider inherent autofluorescence characteristics and likely stress birefringence. Surface coating selection depends on the spectral environmental conditions of the application. Whether a design uses plastic or glass, however, depends upon understanding the widely varying strengths of glass and plastic, according to Scott Cahall, president of the optical design firm Moondog Optics Inc. in Fairport, N.Y. Glass comes in a wide variety of materials that can be chosen to optimize properties such as high refractive index, low dispersion or transmission over a broad spectrum. Glass enables tighter tolerances on material properties, while featuring a lower coefficient of thermal expansion and change of index with temperature (dn/dT) compared with plastic. Glass offers more resistance to surface abrasion and heat than plastic. Besides being “formable” into unique optical elements such as double-sided microlens arrays and prisms with optical power (Figure 2), strengths of plastic include the ability to incorporate significant departures from spherical surfaces, which facilitates aberration correction and reduces element count, Cahall said. Plastic has a low mass compared with glass for a given optical power and can weigh up to five times less. A big advantage of plastic optics is that they can incorporate built-in features for mounting or other functionality, potentially eliminating parts from an assembly. Whereas glass is created in small batches at best, plastic has cost-effective scalability up to mass-production volumes. Figure 2. Complex polymer optics design: A double-sided plastic microlens array combines the injection molding specialty of Jenoptik Polymer Systems with the design and manufacturing expertise of the micro-optics unit of Jenoptik Optical Systems Inc. in Huntsville, Ala. The gray-scale lithography-generated glass master is used to create an electroformed negative, which is then used as the mold insert. Proprietary tooling allows for accurate alignment of the front and back sides of the mold. In the past decade, plastic optics have exploded into a wide range of everyday applications including LED lenses, optical scanners, cellphone cameras and displays. Injection molding advances have greatly improved the optical quality of plastics so that they are becoming more common in growing nonconsumer markets such as medical equipment, biometrics and sensing. Figure 3. 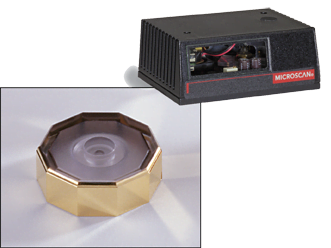 Everyday applications: The MS-820 bar-code scanner, designed and manufactured by Microscan Systems Inc. of Renton, Wash., involves numerous plano-optical surfaces on a polygonal mirror, integrated with a mounting datum into one part. Applications for LEDs are booming. “LED lighting is a huge and growing market for polymer optics,” Beich said. “The advantages of using polymer optics comes from the ability to replicate very complex shapes in a cost-effective manner, using injection molding.” With the incorporation of LEDs into low-cost, efficient illumination everywhere, on the street, in buildings and in mobile ambient applications such as in trains, planes and automobiles, the high volume and low cost of polymer are key. Figure 4. 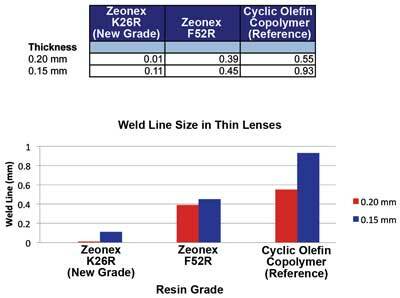 New materials: The new Zeonex K26R polymer resin, designed for microlens applications such as camera optics for smartphones and tablets, enables high-precision molding of thin cross-section lenses with significant reduction in weld line size and lower birefringence compared with traditional resins. “This new plastic reportedly enables a lens only 0.15 mm thick, which is amazingly thin,” Cahall said. Recent advances in testing and quality-assurance capabilities ensure the quality of plastic. At G-S Plastic Optics, an OGP Smart Scope optical coordinate measuring system checks the mountings and assembly fiducials on molded products, holes and planar-shaped surfaces. Another high-performance coordinate measuring system certifies dimensional accuracy and product uniformity. Aspheric and other surface shapes are characterized using high-resolution stylus profilometry technology and phase-measuring laser interferometry in conjunction with computer-generated holograms. And the sphericity and irregularity of spherical optical surfaces such as mold inserts and molded optics are measured using phase-measuring laser interferometry (Figure 5). Figure 5. Advanced testing: The sphericity and irregularity of spherical optical surfaces such as mold inserts and molded optics are measured using phase-measuring laser interferometry. Knowing that polymer keeps making inroads into glass quality territory, will polymer optics ever completely replace glass in the photonics world? No, agree the experts. “It’s a matter of physics,” Beich said. Plastics with significant aspheric departure are useful for aberration correction, but various types of materials are limited in plastic. Glass has the advantage of many material options, which is also useful for aberration correction. And sometimes they’ll be used together in polymer-glass hybrid optical systems. 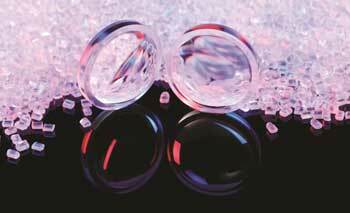 Polymer optics can be combined in systems with glass optics to take advantage of the benefits of both. Also, developments in advanced optical data networking and optical computing will definitely benefit from polymer optical solutions, Maahs said. “We will certainly continue to see plastics in high-volume imaging and nonimaging applications,” Cahall said. 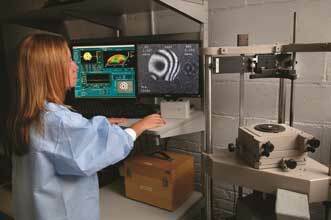 “Imaging systems in particular are increasingly becoming high-end. Cellphone cameras today, for example, typically offer greater than 5 megapix and are generally all plastic. The goal will be to push the lenses to even higher quality – no surprise. At the same time, we will continue to see the scale of lenses pushed smaller. Freelance science and technology writer and editor Valerie C. Coffey is the founder of Stellar Editorial Services in Boxborough, Mass. ; email: stellaredit@gmail.com. 1. P. Tolley (October 2003). Polymer optics gain respect. 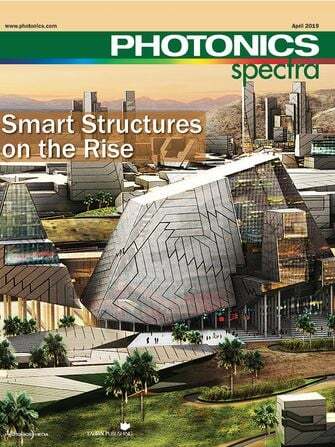 Photonics Spectra, pp. 76-79. 2. J.G. Smith et al (2008). 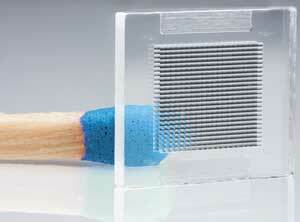 High efficiency micro-optics for illumination in projection systems. White paper. Mems Optical Inc.
4. W.J. Smith (2000). Modern optical engineering: The design of optical systems. 3rd ed., McGraw-Hill, New York, p. 190. The integration of plastic materials into optical applications. When the materials are refined into lenses, prisms and mirrors, they serve the purpose of glass optics at a lower cost and a significant savings of weight. Measurement of surface roughness or quality through the use of a diamond-pointed stylus connected to a coil in an electric field. As the stylus is traced across the surface, a current is created that corresponds to the roughness. The production advantages of integrated optical and mechanical features in molded plastic components are very significant; especially in terms of controlling tolerance stacks in complex, multi-element systems. Examples can be seen at www.prisma-optics,com .